Welcome to Tampa Botox Specialists! Find a BOTOX Provider Near You! Tampa Botox Specialists is the premier source for BOTOX® in the Tampa Bay area. Tampa Botox has teamed up with professionals—ranging from skin care clinics, medical spas, and Tampa plastic surgeons—dedicated to enhancing your appearance through the latest advances in surgical and non-surgical treatments. BOTOX Cosmetic is the leading non-surgical treatment for wrinkles… find out what it can do for your skin, today! Our Florida BOTOX experts can help downsize laugh lines, forehead creases, and other facial wrinkles. Even though BOTOX Cosmetic is much safer than surgical options, our network of doctors and clinics offer a wide variety of both surgical and non-surgical treatments. Tampa Botox Specialists offer cosmetic surgery and skin care individualized to your concerns. Whether you’re looking for Tampa dermatology, cosmetic surgery, a medical spa, or skin care clinic, Tampa Botox has the answer for you. Besides BOTOX Cosmetic, our Tampa Bay doctors and medical spas provide treatments such as Microdermabrasion, CosmoPlast™, Juvederm®, and Restylane®. Our network of clinics can provide BOTOX treatments throughout the Tampa Bay area: New Tampa, South Tampa, Belleair Bluffs, Wesley Chapel, St. Petersburg, and more! Not in Tampa, FL? We can help find a Botox clinic in your area. Esteem MedSpa is a leading provider of BOTOX® Cosmetic in Tampa Bay, FL. 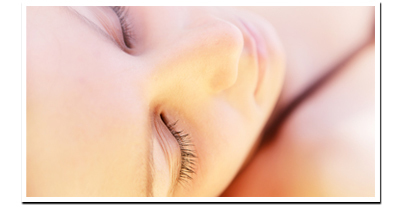 Esteem combines incredible, professional treatments like BOTOX with a relaxing luxury environment. Esteem is a top skin care clinic in Florida for acne treatments, age spot removal, Rosacea reduction, and of course removing unwanted wrinkles. To reduce facial creasing, Esteem MedSpa of Tampa offers BOTOX Cosmetic, as well as a wide range of dermal fillers. Fillers offered at Esteem include Juvederm®, Restylane®, and CosmoPlast™. At a totally complimentary consultation with Esteem Med Spa of Tampa Bay, you’ll meet one-on-one with a nurse practitioner who will give you real answers about your problem skin. It’s your chance to have all your questions about dermal injectables answered by a qualified professional . Esteem will discuss their Tampa BOTOX Cosmetic costs and even help you select the injectable best suited for your unique needs. At this Florida medical spa, a little BOTOX can go a long way to boosting your self-esteem! Tampa Botox can also help you find out more about Botox and anti-aging treatments offered in most medspas.